If you own a web site with imporant information, this software is the only product available today (to the best of our knowledge) that can secure your data from spidering programs. This software is made as plugin for IIS and can be used with any scripting language supported by Microsoft IIS server. 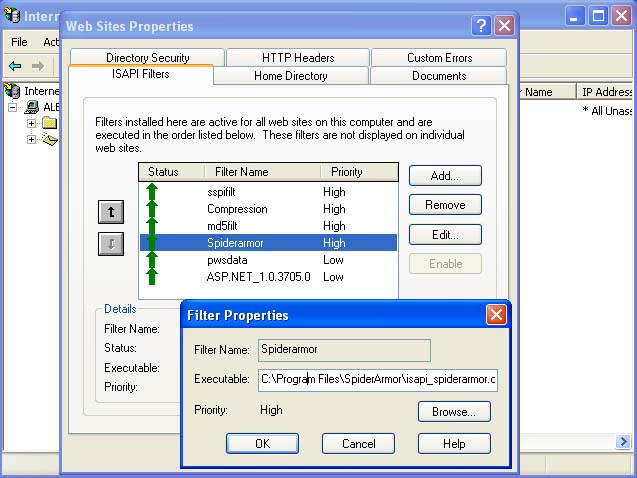 SpiderArmor makes your pages visible to users but not available for spidering programs that will make your data safe from scrapping by others!SpiderArmor is a breakthrough in site content protection. The company Soft Service Ltd managed to unit the advantages of the existing data protection techniques in one software SpiderArmor: * Protection against data copying by the client through the clipboard * Protection against content by viewing a HTML code both by means of a browser, and after data saving on a hard disk. * Protection against data extraction by spidering programs. * Simplicity in installation. You only need to add one html tag into a code of web-application to mark the protected spaces of your site. * Simplicity in use, you can change a site or the information in a database as you wish, but your information remains protected. * You protect only that data which you want to protect, thus the rest of a page is completely accessible to indexation by search systems * Works with any web-scripts (HTML, DHTML, ASP, ASP.NET, CFML, PHP, Perl, DLL, EXE, etc).